Alaska’s U.S. Sen. Lisa Murkowski can be counted among a handful of Republican senators who say the confirmation proceedings for Brett Kavanaugh may have to slow down after a woman came forward accusing the nominee of sexual assault years ago. The accuser, Christine Blasey Ford, wrote a confidential letter to senators about the allegations earlier in the summer. The existence of that letter became public last week and Ford came forward over the weekend to tell her story to the Washington Post. Now, senators on both sides of the aisle are pushing to hear her accusations before the nomination moves forward. Both Ford and Kavanaugh, who reiterated his denial of the incident today, have said they would be willing to appear in front of the Senate to respond to the charges. CNN asked Murkowski about her position on the confirmation process amid the new news. The Senate Judiciary Committee is planning on holding a vote later this week, and there’s been no indication it will be delayed. Republicans have been rushing to get Kavanaugh appointed ahead of the midterms, which might be damaging for Senate Republicans even if the electoral map favors them this year, and any delay could play into Democrats’ hands in at least staving off the nomination until after November. Maine Sen. Susan Collins, another critical vote on the Kavanaugh decision, said both Ford and Kavanaugh should “testify under oath before the Judiciary Committee,” but stopped short of saying she would withhold her vote if it didn’t happen. 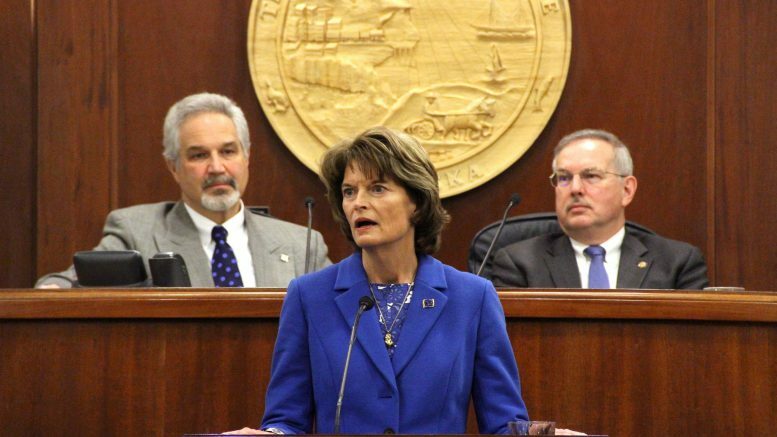 Murkowski is already facing immense pressure over the Kavanaugh vote. In addition to progressive opposition to Kavanaugh on reproductive rights, climate change, health care and presidential oversight, many key members of the Alaska Native community stepped forward last week to oppose Kavanaugh. The Alaska Federation of Natives released a a memo detailing a slew of legal issues it had with Kavanaugh. Be the first to comment on "Murkowski says Senate ‘might have to consider’ delay on Kavanaugh vote after accuser steps forward"